Ever since I can remember we've always had French Onion soup on the menu. It's a classic go-to for many people that's a staple on our soup and salad menu. But this weekwe're combining it with something almost everyone loves: steak. 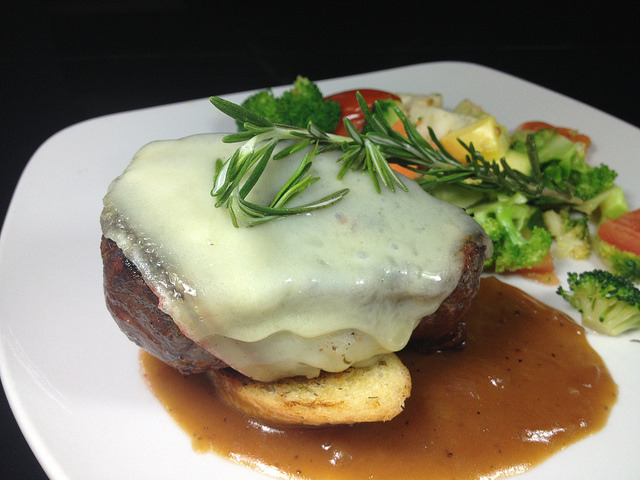 This week we'll be dishing up a French Onion Filet. We start by char-grilling a 10 ounce filet mignon to your desired temperature and top it with melted swiss cheese before it is placed on a crusty sourdough crouton. It is then served over a ladeling of a silky housemade vidalia onion demi glaze to round out the French Onion theme. 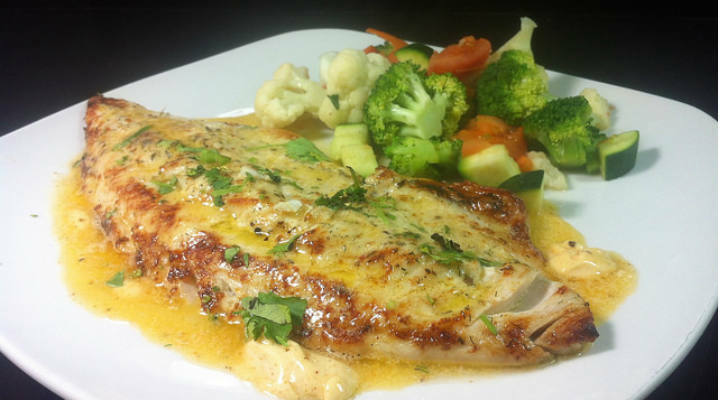 For you non-meat eaters out there we also have a Broiled Great Lakes Whitefish. This whitefish is a 10 ounce filet broiled and topped with an anchovy-parsley butter. This is a fresh-never frozen fish that comes to us from the Great Lakes. This particular whitefish is very light with a flaky texture and a sweeter taste to it that appeals to many people, especially those who aren't crazy about fish. Covering both ends of the entree spectrum, we're sure that there is something for everyone on our menu, but these specials only last or a short time. Stop in and see us soon before they swim away!